The sales are in full swing, but I was pretty much done with them by the 27th. I did a little sale shopping, but not a lot. I have a holiday coming up and I want to invest in some really nice things that will become a staple or much loved piece in my wardrobe and something I can consider taking on holiday with me in April. In April I'm heading off to sunny Santorini and though it's not going to be scorching, I think I'll need some summer clothes. I've already taken a peek at some bikinis and I'm really loving some of the new prints and colours coming out for next season. 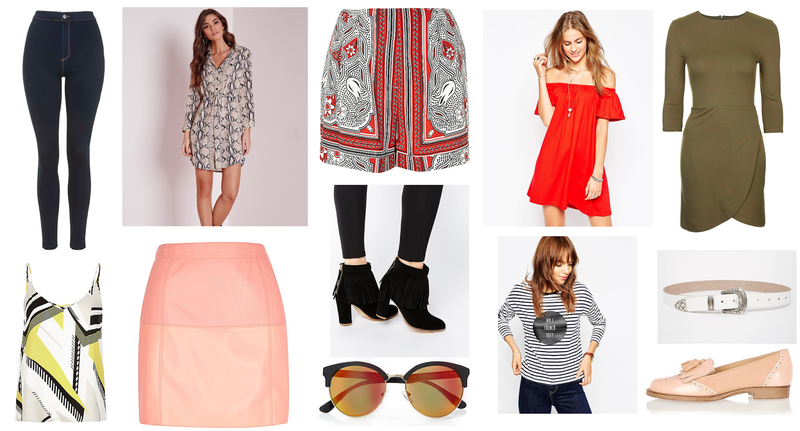 On my wishlist this week, I have picked a few things from the New In pages on the internet. I'm loving it all but I'm particularly keeping my eye on the pink pu skirt and that yellow printed cami. I don't know why but I love them both and think they'd look AMAZING together! I also really need a new pair of nice jeans. I feel like mine have all faded and are ready for replacement. I'm also really loving those two dresses on the top right. I think they'd both be lovely on holiday for the evenings! 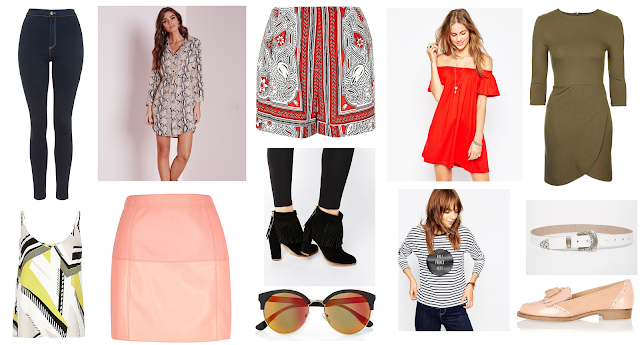 Have you spotted anything to add to your wishlist in the New In pages yet? Lovely picks. I am in love with those sunglasses and black boots, so cute! They are awesome aren't they! I just need someone to buy them all for me as a big present now! Haha! I know! It's come along so quickly - but I'm glad, I prefer spring/summer for style :) do you?